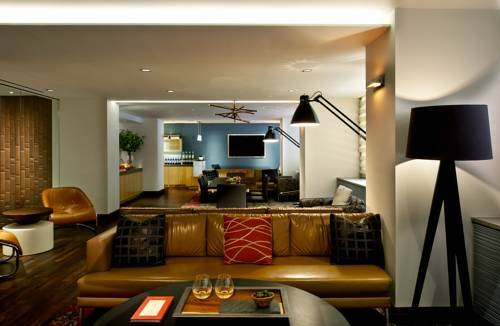 Fifty NYC has 251 artfully designed rooms and suites. The new look is open and welcoming with a chic city-smart feel. The hotels Club Room has an eclectic mix of modern furniture and stylish accent pieces where guests can relax work take advantage of complimentary Wi-Fi and mingle. Fifty NYC offers NYC meeting rooms and gathering space in the Midtown East section of Manhattan featuring multi-million dollar renovations and a newly redesigned event space ideal for any gathering. Located on the second floor this space is perfect for impromptu small business meetings or social gatherings with residentially designed seating complimentary Wi-Fi a communal table a NYC curated art collection and a nightly wine hour.